for $625,000 with 5 bedrooms and 4 full baths, 2 half baths. This 6,329 square foot home was built in 2003 on a lot size of 213 x 614. Prime location. 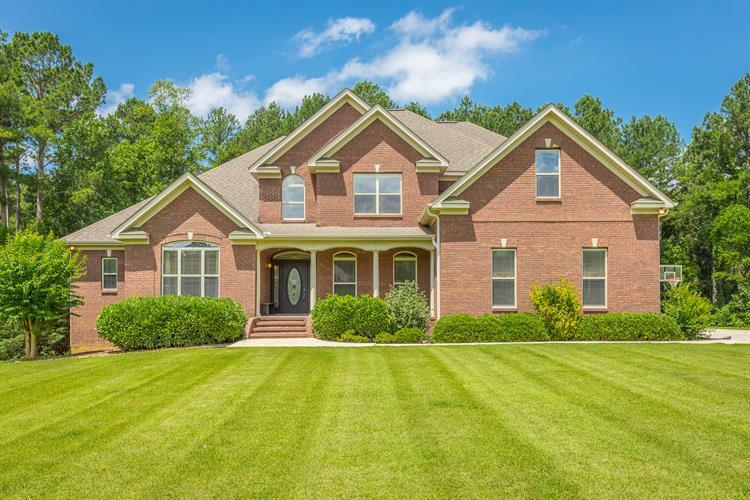 Spectacular brick custom home on 3-acre level lot in exclusive The Legends subdivision of Ringgold, GA. Just 15 miles from downtown Chattanooga, TN. This home is an absolute showplace. Hardwood flooring in the library and dining room, the latest custom tile throughout foyer, kitchen, breakfast, mudroom, great room, master bedroom and master bath. Carpet in other bedrooms and basement. Master on main level and four bedrooms upstairs. Extremely open & elegant floor plan with 17-foot high ceilings in foyer and great room, tray ceilings in the master and master bath, and a vaulted ceiling in the library. 3-car garage on main level.